​Meet Ananta-our student who dreams of being an Engineer! ​Ananta grew up in a remote village in the Annapurna area of the Himalayas, the son of itinerant farmers, who owned no land but hired themselves out to work for others in the fields. Their son Ananta showed high intellect at an early age and the parents were disparate to get their son out of the village and to a place where he could develop his academic skills. 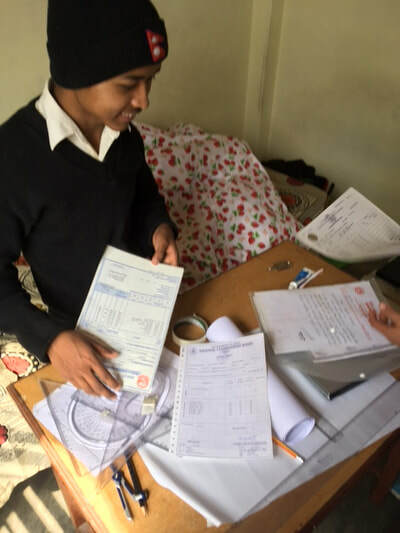 When we were told about Ananta, our interest in helping the lad was piqued by also being told he had the highest test scores in the village, loved playing math and easily taught himself to read. 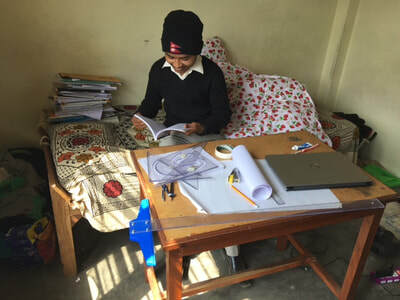 He dreamed of being an engineer and was determined to move to the nearest city, Pokhara to try and enter the Engineering University they have there. It was at this point that Ananta came to our attention, when friends in Nepal who knew the young man asked us if we could help. He had nothing but his intellect-and a great desire to achieve his dream of engineering-and returning to his village, deeply affected by the earthquake of 2015, to help make it better. His high scores got him admitted, now he needed seed money to get going with his program. 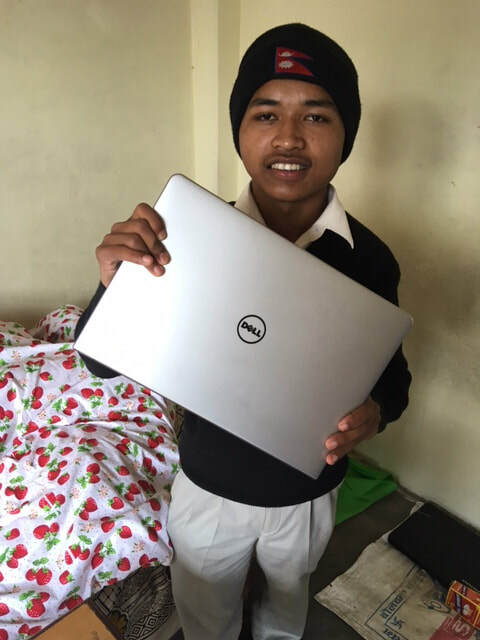 We managed to raise enough funds for Ananta to find a room to rent close to the campus,cooking supplies, clothes, shoes, and a laptop computer he would need for his studies. We continue to raise money to help him with tuition and supplies. He will need constant sponsorship until he graduates, in 3 years. Please take a moment to watch the short video I made when I met Ananta and he said he wanted to express his thanks to HANDS in Nepal and those who have helped him get this start. He is teaching himself English, something he was not able to learn in the village, and only recently began to pick up from his living in Pokhara, so you’ll have to listen hard, or should we say, with heart. His words are sincere, and we are all cheering him on to a bright and successful future! We are with you 100%, Ananta! If you want to specifically donate to Ananta’s education fund, you can note that on your donation and we will be sure it goes to his trust fund, being managed by HANDS in Nepal.